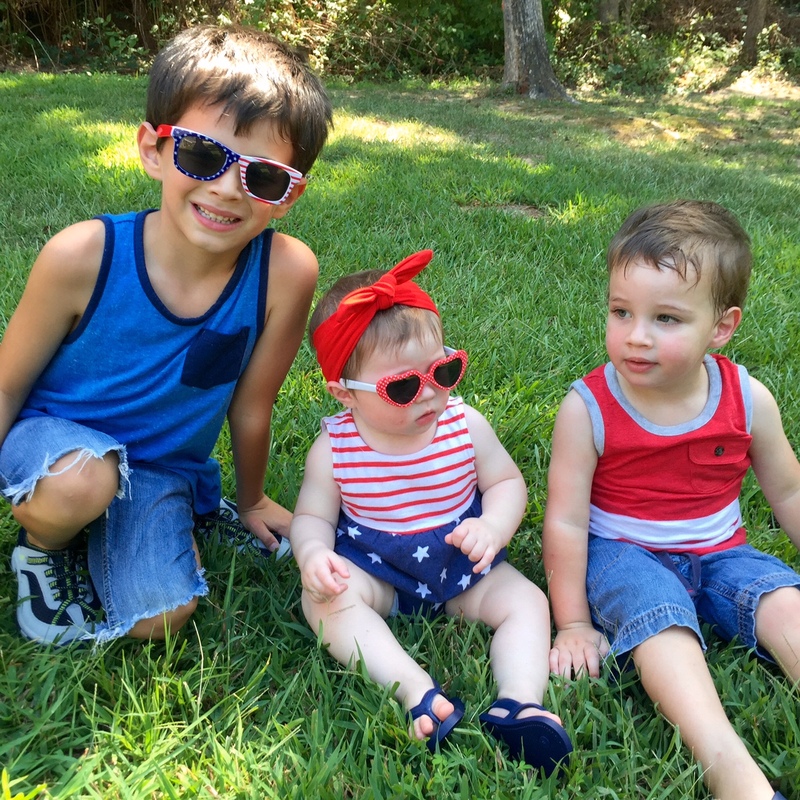 It's been quite a fun summer for my kids and we have spent the majority of our time outside. Between the pool, the lake, the park and Jack's summer program, we've been busy playing outdoors. I recently discovered KHOMBU Kid’s footwear and they have quickly become Jack's favorite pair of shoes - he calls him his hiking shoes. 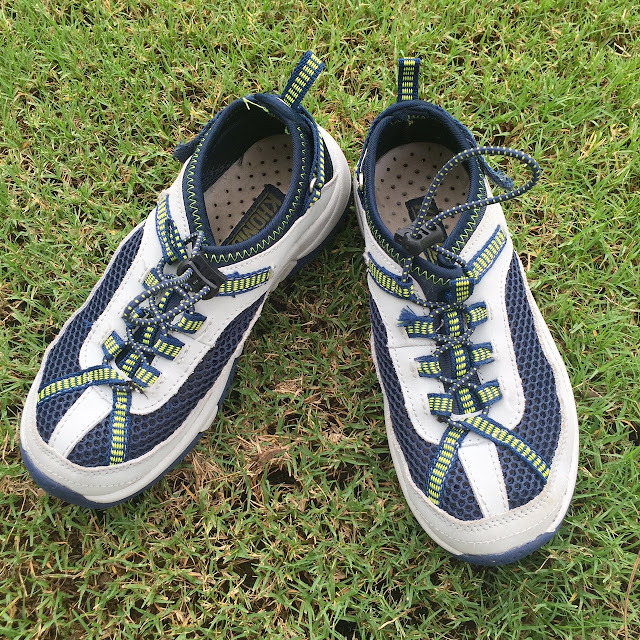 Jack's GEM hiking sneakers are perfect for splashing through creeks, hiking trails, and playing at the park! The super breathable material keep his feet cool and dry and the patted tongue, collar and footbed provide extra comfort for hours of play. 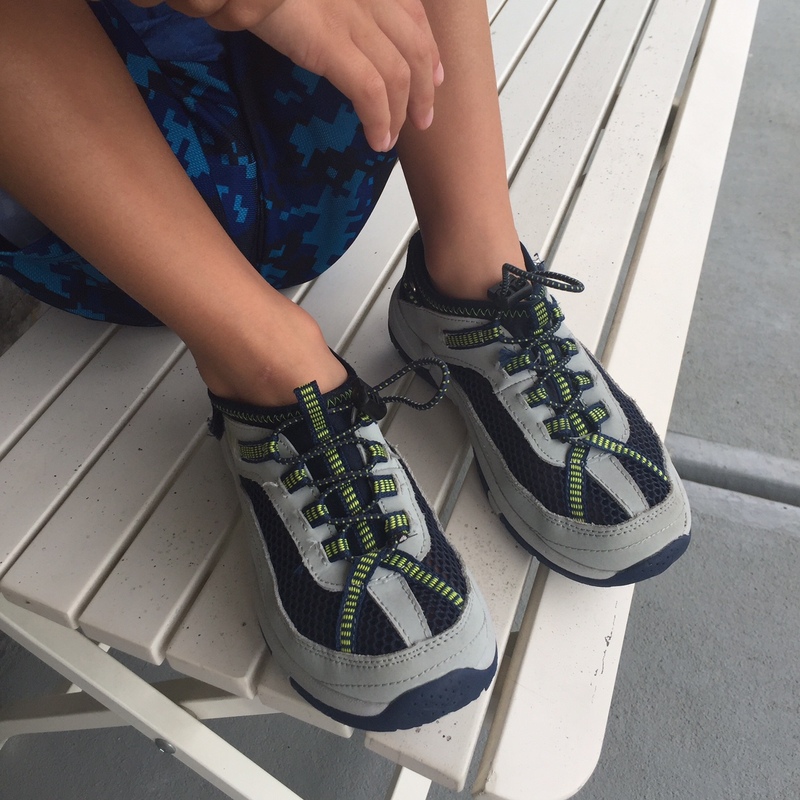 Lace up closure for snug fit -- a mom's favorite when your kid's don't know how to tie their shoes! I'm not joking when I tell you that Jack wanted to wear his "hiking shoes" daily. The best part? 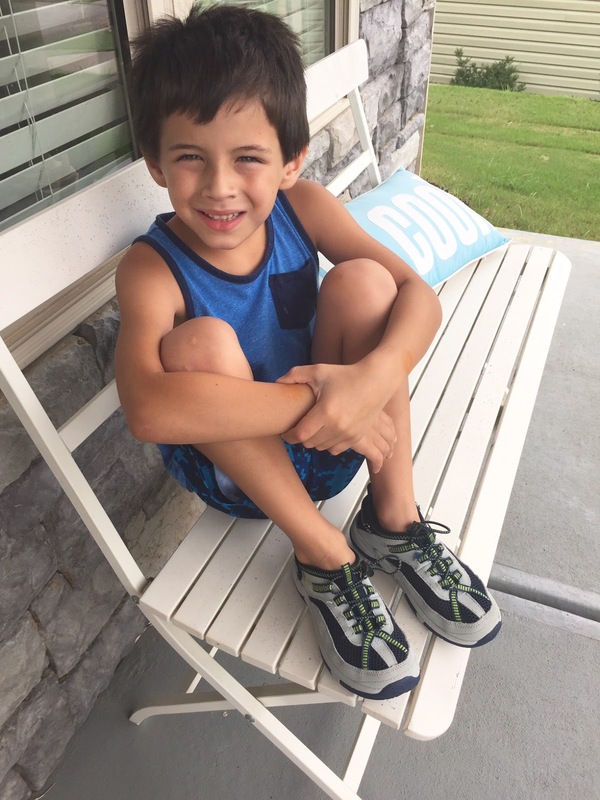 They will be transition perfectly when he starts kindergarten on Monday -- cue tears.